When most people think “laptop,” they think of a device with a 12.1-to-15.4-in. screen, which is really a bit cramped for extended use. 17-in. notebooks, on the other hand, provide a nice, large, desktop-size display. And unlike desktop computers, they still allow some mobility. In the past, widescreen 17-in. notebooks sat near the top of the digital food chain, with high price tags. Now, however, many are surprisingly affordable and are challenging budget machines on features and value. To examine the latest trends in reasonably priced larger notebooks, I looked for 17-in. systems from major vendors that sell for US$850 or less. 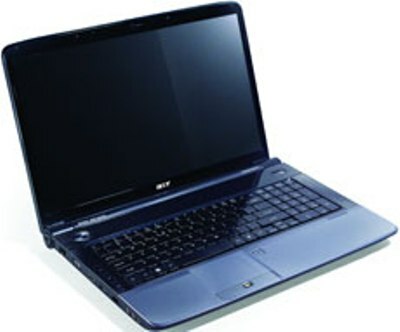 I got my hands on three models: Acer’s $750 Aspire 7738, Dell’s $829 Inspiron 1750 and Toshiba’s $700 Satellite L555. Those prices are about what you might have paid for a budget business machine with a 15-in. screen a year ago. Clearly, a lot has changed. With all that space at their disposal, these systems deliver more digital amenities than can be squeezed into smaller and lighter machines. On top of offering a full-size keyboard, about 25 per cent more viewing space than a 14-in. screen and twice the computing power of the typical budget notebook, a 17-in. system has the room and cooling power for lots of RAM and a high-performance hard drive. The Aspire 7738 even includes high-end graphics and HDMI ports. These are not anemic ultraslim systems that weigh less than 3 lbs. and can’t compute their way out of a paper bag. No, these behemoths of the notebook world weigh about 7 or 8 lbs. and are meant to replace a desktop PC, especially when you need a large display to edit images, screen a movie or present to a group. While they can travel, even the smallest of these systems will cover an entire airline tray table, so forget about having a drink while in the air. In fact, they’re more appropriate for going from the conference room to a cubicle or from the kitchen to the family room than for trips from Seattle to Chicago. A leader in bringing innovative netbook designs to market, Acer is also spreading its wings with inexpensive larger notebooks as well. Priced at $750, the Aspire 7738 has advanced graphics, excellent audio and the best assortment of ports in this roundup — but it’s a lot to lug around. I really like the shiny, dark-blue plastic case and elegantly dark design of the Aspire 7738. At 1.8 by 16.1 by 11 in., it is fractions of an inch longer and wider than the others. It is also the heaviest of this big notebook group, weighing a stout 7.5 lbs., more than half a pound heavier than either the Inspiron or the Satellite. The Aspire’s AC adapter is also the biggest and heaviest of the bunch and pushes its travel weight to a ponderous 8.8 lbs. It fit into my Brenthaven notebook bag only after a bit of encouragement and pushing. Inside its big case is a well-equipped notebook with a 2.1-GHz Intel Core 2 Duo processor, a double-layer Super-Multi DVD drive and 3GB of RAM. That’s a gigabyte short of the Inspiron, and its 250GB hard drive comes up short compared with the 320GB drives in the Satellite and Inspiron. The good news is that its hard drive shortcoming is more than made up for by its graphics. The center of attention is the Aspire’s 17.3-in. screen, which can show 1600-by-900-pixel resolution and is the brightest and richest display of the three. While the others use Intel’s integrated video accelerator with a minimum of dedicated video memory, the Aspire 7738 uses Nvidia’s GeForce GT 130M graphics accelerator with a whopping 1GB of its own video memory that it can augment with as much as 1.3GB from system memory. It’s also the only system of the group with a fingerprint reader. On the downside, the Aspire’s 18.9mm keys are smaller than those of the others, and the keyboard has wider spacing between adjacent keys, which takes a little getting used to. The touchpad is nicely recessed, but it has the same texture as the surrounding case, so it can be hard to find without looking. While I like the convenience of the Satellite’s thumbwheel volume control, the Aspire’s touch-sensitive multimedia panel is a top-shelf addition that can control media, adjust volume and even mute the audio. The Aspire’s speakers and surround sound are the best of the bunch. The system outdoes the others with a great assortment of ports: four USB 2.0, VGA for an external monitor, Ethernet, modem, microphone, headphone and a high-end fiber-optic SPDIF audio connection. While it lacks the ExpressCard slot of the Inspiron and the eSATA hard drive connection of the Satellite, it has an HDMI plug for driving a large-screen monitor or TV. Up front is a flash card reader that can be used with xD cards as well as the SD and MS modules that the other two can handle. The system was in the middle of the pack on most performance tests. It scored 725.1 on the PassMark PerformanceTest benchmark, and its 8-cell, 4,800 milliamp-hour battery pack was able to run for a midrange 2 hours and 26 minutes — although the difference among the three on battery life isn’t all that much. It was, however, the fastest to start up, and its 802.11a/b/g/n Wi-Fi had an excellent range of 125 feet. On top of having the brightest of the three screens, the Aspire showed more detail than the others while running Trainz. In addition to Microsoft’s Windows Vista Home Basic and Works 9.0, the Aspire includes the company’s Carbonite online backup system and McAfee’s Internet Security Suite with 30 days of updates, as well as a surprisingly good assortment of games and utilities. In the final analysis, Acer’s engineers and designers went a little too far. Sure, they built a system that has the amenities and the graphics of a much more expensive system, but it’s also bulky and overweight by about half a pound. With models starting at about $500, the Inspiron 17 series low-balls all the others, but when you configure it the way you want to, the price quickly balloons: The Inspiron 1750 model I tested, with a 2.0-GHz Intel Core 2 Duo processor, 4GB of RAM, a 320GB hard drive and a double-layer DVD burner, costs $829. Despite being the most expensive of this group of three 17-in. notebooks, it lacks some digital amenities. Still, it beats the pack on performance and battery life, if only by a hair. Measuring 1.7 by 16.3 by 10.4 in. and weighing 6.8 lbs., the Inspiron is the smallest and lightest of the three and is not that much heavier than systems that have 15.6-in. screens. With its AC adapter, it hits the road with a travel weight of 7.6 lbs., more than a pound lighter than the Aspire. It easily slides into my Brenthaven bag for quick getaways. It’s available in white, black and six fashion colors; I looked at a black model because it cost $40 less. Like the Satellite, the Inspiron has a 17.3-in. screen that can show 1600-by-900-pixel resolution and uses Intel’s GMA 4500MHD graphics chip. But the Inspiron comes with 32MB of video memory rather than the Satellite’s 128MB; it can take control of up to 1.6GB of system memory. While running Trainz, the Inspiron’s colors were the least vibrant of the three machines, and it showed the least background detail. The black system I tested is as plain as it gets, with no ornamentation like the Satellite’s striped interior. It also makes do without multimedia controls. The Inspiron’s 19.3mm keys have a mushy feel to them, but its recessed and textured touchpad is a real winner. As far as ports go, the Inspiron is the only one of the three systems to come with an ExpressCard slot for adding peripherals such as a 3G cellular data card, but it does without the Satellite’s eSATA connector and the Aspire’s HDMI plug. It provides three USB 2.0 ports, plus Ethernet and VGA ports, as well as microphone and headphone jacks. There is a flash card reader, but it can work only with SD and MS cards, not the xD cards that the Aspire can read. The model I tested does without a Bluetooth radio (available as a $20 add-on) and lacks the communications backup of having a modem jack for times when everything else fails. Performance is the Inspiron’s strong suit, with the top score of 765.4 on the PassMark PerformanceTest 7.0 benchmark; its start-up time of 1 minute 18 seconds was edged out of first place by only a few seconds. The 6-cell, 4,750 milliamp-hour battery was able to run for 2 hours and 40 minutes, making it the long-distance champ of the three, if barely. The Inspiron comes with either Windows Vista Home Basic or Vista Home Premium; if you opt for the latter (a $30 add-on), Dell includes a free upgrade to Windows 7 Home Premium when it becomes available in October. The system also includes Works 9.0, a 30-day subscription to McAfee’s SecurityCenter, and Video Chat, one of the best videoconferencing apps around. It may not be the least expensive 17-in. system, but if size, weight, performance and battery life trump all other considerations, the Inspiron 1750 excels. At $700, it’s hard to believe that the Toshiba Satellite L555 comes as well equipped as it does. It’s not the lightest, fastest or longest-lasting 17-in. notebook around, but it does everything adequately, if not spectacularly. In other words, it’s a genuine bargain. The system weighs 6.9 lbs. and measures 1.8 by 16.4 by 10.7 in. — fractions of an inch thicker and wider, and an ounce heavier, than the Inspiron. It is, however, quite a bit smaller and lighter than the Aspire and slips easily into my Brenthaven bag. With the small AC adapter, the gray and silver system has the best travel weight at 7.1 lbs, nearly 2 lbs. lighter than the overweight Aspire. I really like the system’s striped interior — a welcome change of pace from the competition’s monotone designs. With a 2.1-GHz Intel Core 2 Duo processor, 3GB of RAM, a SuperMulti DVD drive and a 320GB hard drive, the Satellite comes with a configuration that rivals those of the Aspire and the Inspiron. It uses an Intel GMA 4500MHD graphics accelerator that has 128MB of its own memory and can grab as much as 1GB from the system. Like the others, its 17.3-in. screen has 1600-by-900 display resolution; its brightness is midway between the Aspire and Inspiron. If the case lid is bumped into, the screen image tends to wobble a lot. Its 19.2mm keys have concave surfaces to make typing comfortable, but the keyboard has a mushy feel. I really like the texture of the system’s touchpad, but it has the same finish as the surrounding plastic and is not recessed, so it blends in with the background. I often ended up putting my finger in its general direction and missing the pad altogether. Above the keyboard is a set of multimedia controls, but they’re not as thorough as on the Aspire. There is, however, a handy thumbwheel for raising and lowering the volume. The machine lacks a fingerprint reader. Its assortment of ports includes a hidden gem that involves a major compromise. It is one of the first notebooks of any size or price that has an eSATA connector for directly connecting a hard drive, but to use it you must give up one of the system’s three USB ports. It also has ports forEthernet, modem, VGA and audio, but has neither the Aspire’s HDMI nor its SPDIF ports. While it comes with a flash card reader, it works only with SD and MS cards, and the system does without either Bluetooth or an ExpressCard slot for peripherals. The Satellite’s performance didn’t impress, to say the least. With a startup time of 2 minutes 24 seconds and a score of 706.8 on the PerformanceTest 7.0 benchmark, it is the slowest of the bunch. The 2 hour 20 minute life of its 6-cell, 4,000 milliamp-hour battery was the shortest of the three, but only by a few minutes. The Satellite’s Wi-Fi can connect with 802.11a/g/n networks, but its range was limited to 105 feet, the shortest of the three systems. On top of Windows Vista Home Premium (with a free upgrade to Windows 7 Home Premium), the system came with Norton Internet Security with a month of updates and a bunch of games. While it is the slowest of the three notebooks, the Satellite excels at one big thing: price. At $700, it’s hard to beat. To see how these three 17-in. notebooks match up against one another, I started by measuring and weighing each, counting how many ports each has and looking into the features that each offers. After that I tested their performance and endurance. First I timed how long each system took to start up before I installed any extra software onto its hard drive. Then I loaded and ran PassMark Software’s PerformanceTest 7.0, which exercises all the major components and provides an overall score that indicates the system’s performance potential. To see how well the graphics and screen worked together, I ran a copy of Auran’s Trainz Simulator 2009, a resource-heavy railroad simulation. With the train set to full speed, I checked for choppiness and background detail, and then ran it overnight to see if the system (not the train) crashed. I also checked out each machine’s Wi-Fi range by connecting it to a Linksys WRT54G wireless router and loading an Internet radio station. Then I slowly walked away until the notebook lost its signal, which I recorded as its range. After making sure the battery was fully charged, I installed and opened PassMark’s BatteryMon and ran the battery down by playing an Internet radio station with the system’s audio level set to three quarters. Finally, for those who want to travel with these behemoths, I tried fitting them into a Brenthaven laptop bag with a padded insert to protect the notebook; it’s a custom bag that’s designed for 15-in. systems but can also accommodate 17-inchers. All three laptops fit in the bag, but the Aspire 7738 was the hardest to get in and out. If this review were concerned with only one criterion, it would be easy to pick a winner. For overall features, the Aspire is head and shoulders above the rest, but it’s heavy. Based on price, the Satellite has no equal, but its performance is hardly inspiring. 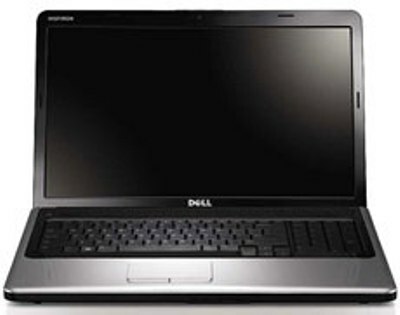 The Inspiron leads in performance but is the most expensive of the three. But notebooks are not one-trick ponies. To be effective at home and at the office, they need to deliver the goods in several different areas. While none of these three stands out as an obvious leader, I’d love to see what Acer, Dell and Toshiba come up with when they replace these models in about half a year. That said, the Satellite L555’s $700 price tag is tough to pass up for so much computer. Some buyers will prefer the Aspire 7738’s extra features or the Inspiron 1750’s performance, but I’m a cheapskate at heart. At $700, my choice would be to live with the Satellite’s shortcomings and laugh all the way to the bank. Brian Nadel is a frequent contributor to Computerworld and the former editor in chief of Mobile Computing & Communications magazine.